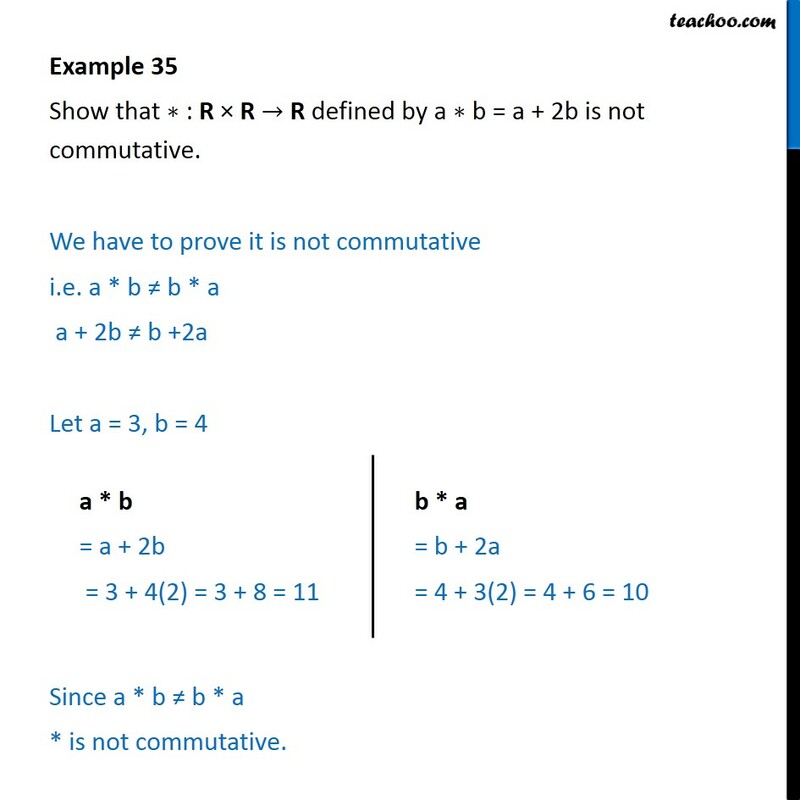 Example 35 Show that ∗ : R × R → R defined by a ∗ b = a + 2b is not commutative. We have to prove it is not commutative i.e. a * b ≠ b * a a + 2b ≠ b +2a Let a = 3, b = 4 Since a * b ≠ b * a * is not commutative.